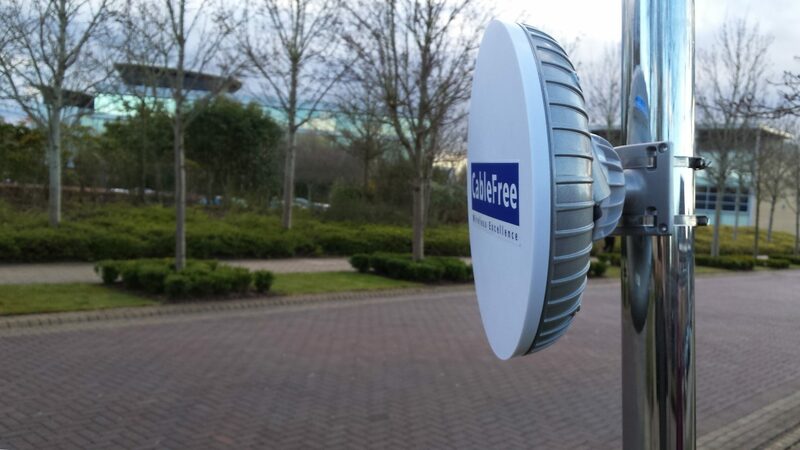 CableFree are shipping Gigabit Microwave Radios for Safe City and ISP projects in the Middle East. The new projects include CCTV solutions for Public Safety in cities as well as high speed ISP backbones. Using 2+0 configurations, CableFree FOR3 Microwave links can offer 1.76Gbps capacity or more. Both Standard and High Power versions are available for short and long distance links. Photo of an installation for an Internet Service Provider backbone in Iraq: 30km at 880Mbps. Full Outdoor Radio with 1024QAM modulation, advanced ACM and other features. Up to 891Mbps full duplex with up to 112MHz channel widths supported. Can scale to 1.76Gbps with 2+0 configuration. Split-mount microwave radio supporting XPIC and 1024QAM modulation, advanced ACM and other features. Up to 1Gbps or more full duplex with up to 80MHz channel widths supported. 48V DC powered with options for ac 110-250V supply. Can scale to 2Gbps or more with 4+0 configuration. ⟵What is the actual maximum throughput on Gigabit Ethernet?